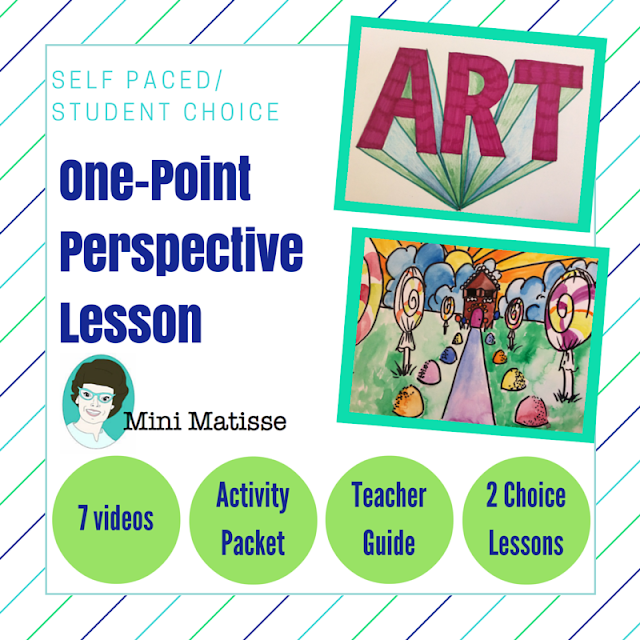 I did this lesson with a couple of groups this summer and I'm so excited to share it with you today. 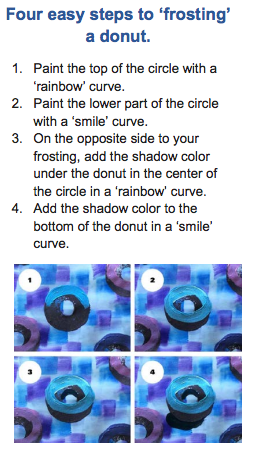 I plan to do this Donut Painting with my 5th grade this year for my Art to Remember project. I know they are going to love it. 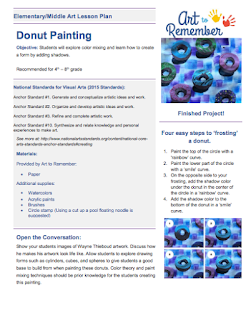 To see the complete lesson plan please click here. For my Art to Remember lesson I plan to use watercolors for the background but in many of the examples that I will show you in this post, I used acrylic paints for the background. Either will work but I think the watercolors going to be more successful for the fundraiser because it's a weaker medium and it will allow the donuts to show up better. For the first step, paint the background and allow time to dry. Once the background is dry, it's time to add the donuts. I cut down a swimming noodle to create a circle stamp. I think you could use other things such as a sponge or simply drawing a circle and painting the donut with a brush. On the A2R paper size, I suggest about 5 to 7 donuts to fill the page. It's nice if some of the donuts 'fall off the page'. Again, I let the donuts dry before adding the icing and shadow onto the donuts. Use the image above or the steps on the lesson plan to break this down for your students. Decorating the donuts seemed to be the best part of this lesson. Students loved that they were able to mix paints to create the different frostings. Whenever possible, leaving a little dry time between the frosting and 'extras' like drizzles and sprinkles will be beneficial. 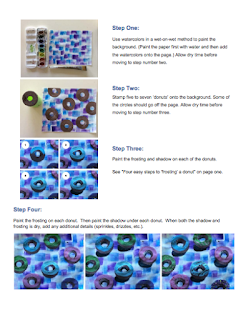 A tip that I used in some of my classes was to allow students to create a small second work of art that they could practice on while they were allowing the A2R piece to dry. It was helpful to have two projects going on at once. 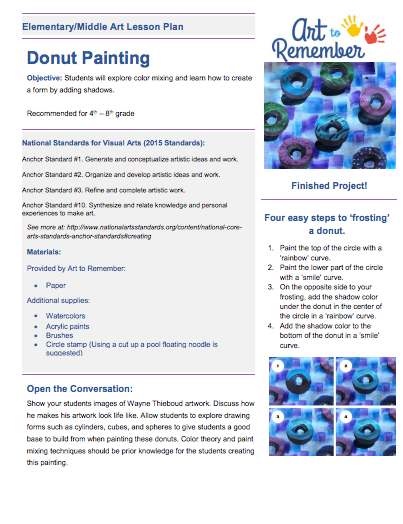 Take a look at the following images with your students when talking about this lesson. Discuss what was successful in each work of art! I really learned that this lesson can be done with students of all ability levels... with different results. In the examples that I show, it represents students from 4 years old to 12. I think the different skill levels gives a unique feel to each of the images.